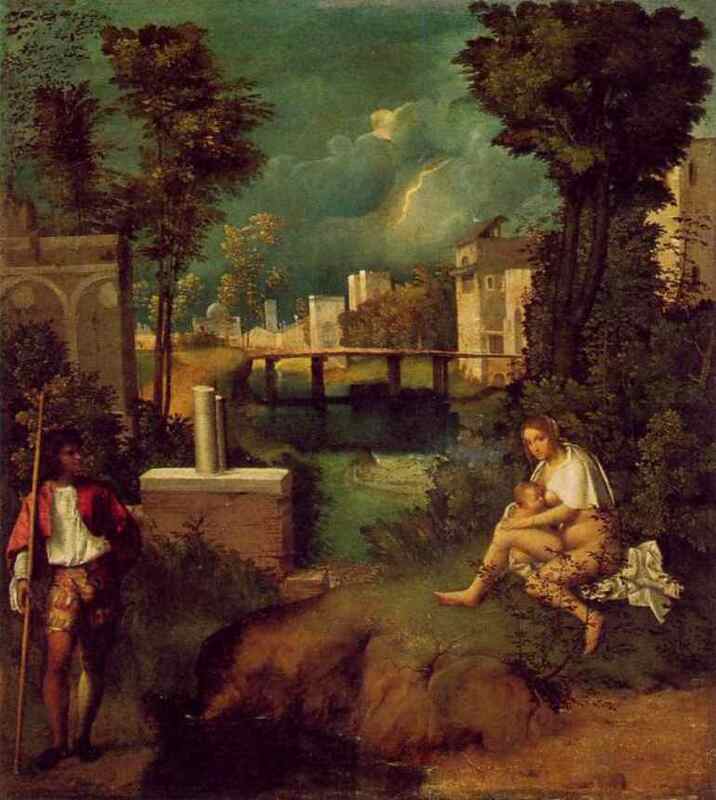 I first discovered Giorgione and the Tempest in Edward Hutton's, Venice and Venetia, originally published in 1911. * The book was one of many that Hutton came to write on Italy, its regions, cities, culture and history. I had first encountered Hutton in his enchanting book on Lombardy and soon began to collect as many of his books as I could. In preparation for a trip to Venice in 2005 I opened Venice and Venetia and found this passage in his account of the Palazzo Giovanelli, at that time the home of the Tempest. 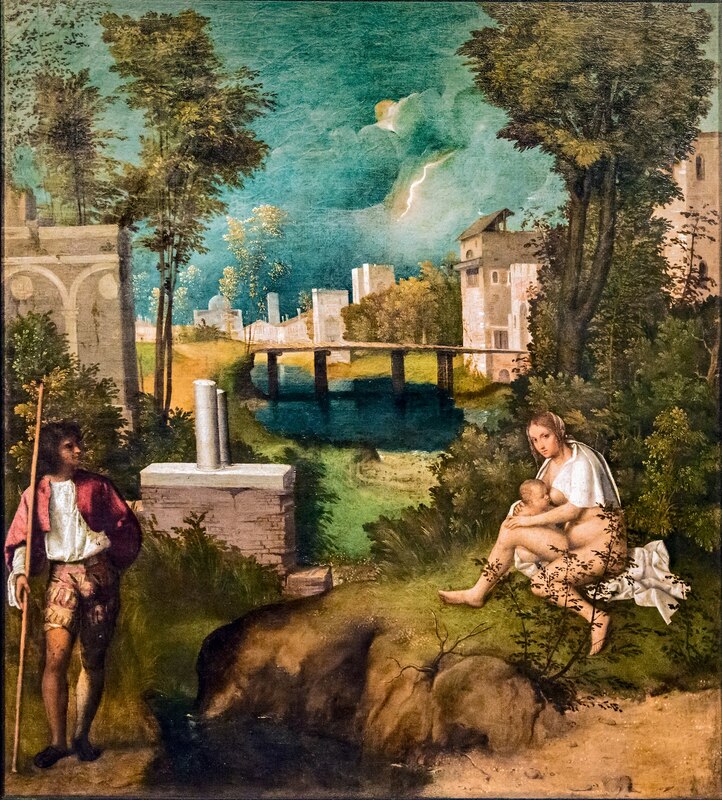 For with Giorgione (1478-1510), the pupil of Giovanni Bellini…we have a new creation in Art; he is the first painter of the true “easel picture,” the picture which is neither painted for church not to adorn a great public hall, but to hang on the wall of a room in a private house for the delight of the owner. 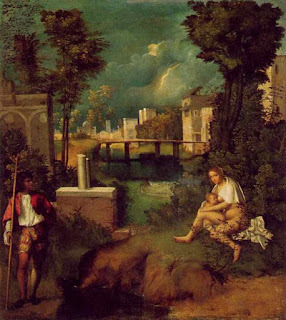 For Giorgione the individual exists, and it is for him, for the most part, he works, and thus stands on the threshold of the modern world….In these short thirty-two years, however, he found time to re-create Venetian painting, to return it to its origins, and to make the career of his great fellow-pupil, Titian, whom he may be said to have formed, possible. Hutton was a student of Roman and Italian history and art but he also made it a point to see everything he wrote about. He used every means of conveyance to get about and often covered the ground on foot. His descriptions of his walking tours in both town and country are charming and informative. 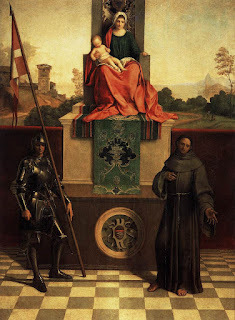 Here is his description of Giorgione's home town of Castelfranco, and its most prized possession. 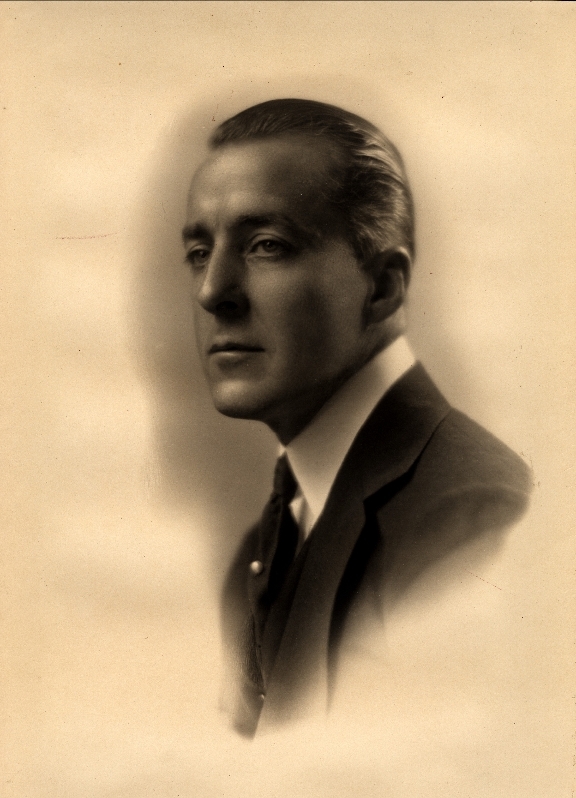 Although a British subject, Hutton seems to have spent most of his life in Italy. During World War II he was with the British army as it made its way up the Italian peninsula. He was an artistic advisor whose role was to point out important cultural sites that should not be bombed. 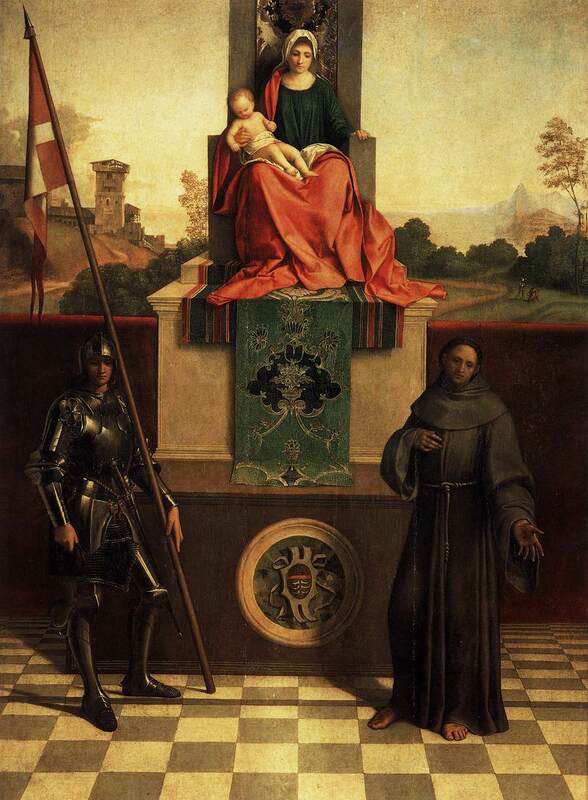 As the armies approached his beloved Florence, he warned that the whole city should be considered a museum and not be bombed at all. Fortunately, the Germans evacuated and the city was spared. A list of his many books can be found on Wikipedia. *Edward Hutton, Venice and Venetia, London, third edition, 1929, first published 1911.